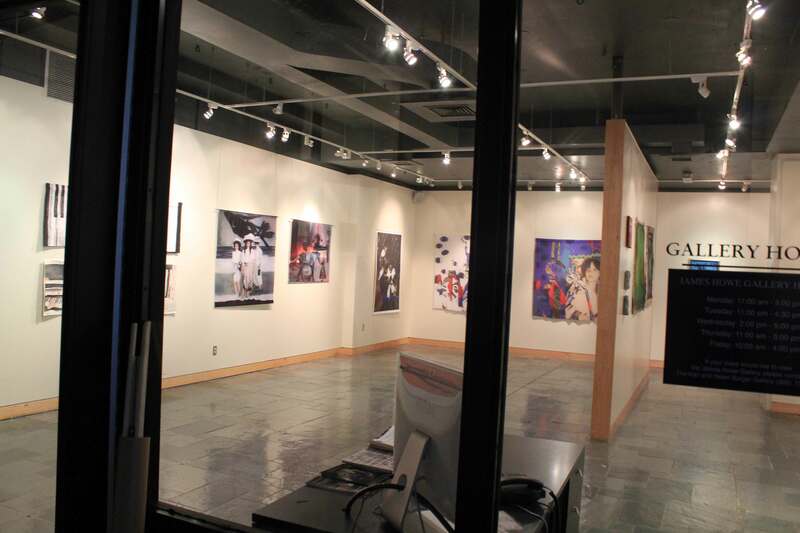 The Opening Reception took place on Wednesday September 3rd, 2014 at James Howe Gallery. Among six guests invited from Jan Matejko Academy of Fine Arts in Krakow, Poland, was Professor Joanna Zamanek and the five Doctoral Level students: Izabela Apananska, Krystyna Malinowska, Jolanta Kusmierska, Roman Fleszar and Iwa Kruczkowska-Krol. Present at the Opening was the Dean of the School of Visual and Performing Arts, Dr. Arasimowicz. 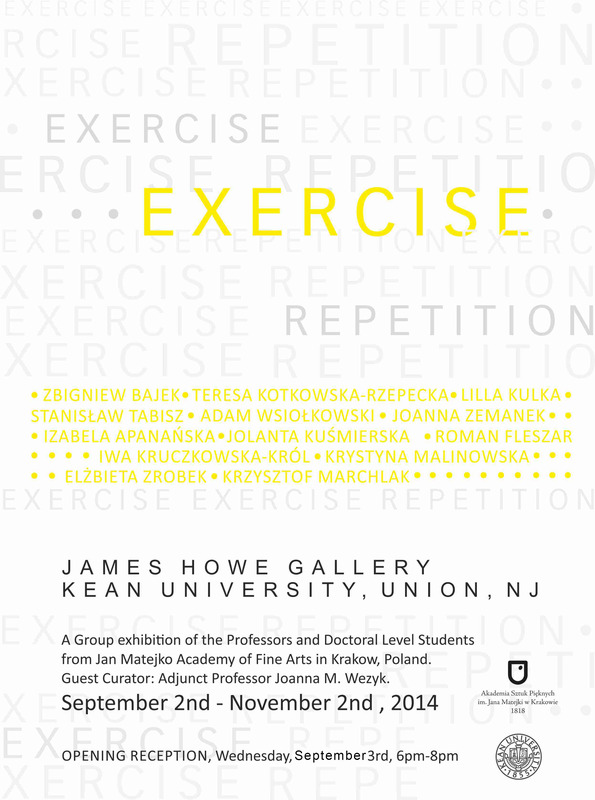 Prof. Joanna M. Wezyk, a guest curator for this show, invited the faculty and the students of both Kean University and The Academy of Fine Arts from Krakow, Poland to create a co-operative exhibition plan. The Exercise exhibition is the forth show in the series of art presentations taking place in Europe and in the United States. The Professors from the Academy including the President (Rector) Stanislaw Tabisz, Zbigniew Bajek,Teresa Kotkowska-Rzepecka, Lilla Kulka, and Adam Wsiolkowski sent their original oil paintings or the artwork printed on large scale various fabrics i.e. silk or canvas, some in giclee techniques, some with hand paint embellishments. The styles vary from abstract to realism. OPENING RECEPTION: Wednesday, September 3, at 6 p.m.